Don’t be surprised if someone buys you a coffee or helps pay for your groceries with a $5 bill and an encouraging hashtag. It’s all part of an effort by staff at Family Health Center to do random acts of kindness in the community. 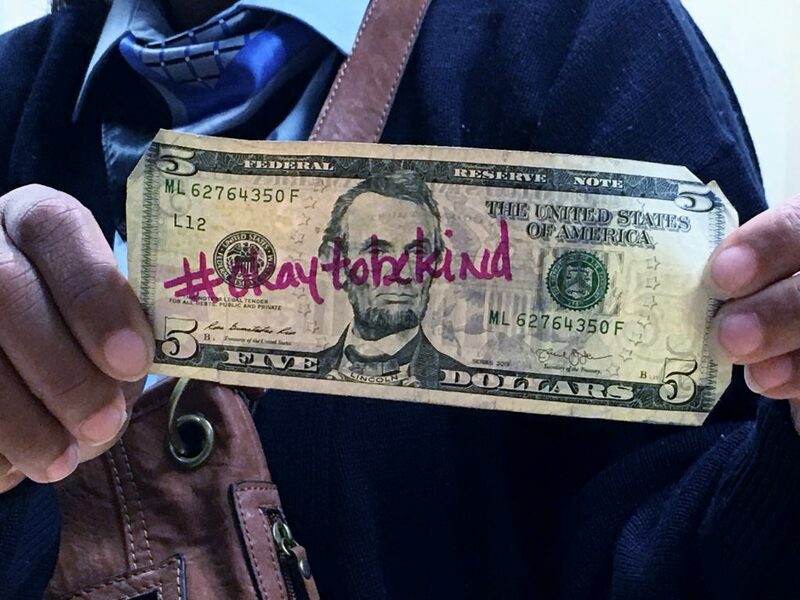 At recent staff meetings, FHC employees received $5 bills with the hashtag, #okaytobekind. Their task is to do something kind for someone else and then post about the experience online using the hashtag. About 100 bills with the hashtag are out in the community. (In case you wondered: Writing on money isn’t a crime unless you deliberately deface in an effort to make it unusable.) FHC hopes to share some testimonials from employees through a future blog and at upcoming staff meetings. So keep an eye out for one of these $5 bills, and see if you can keep the momentum of kindness going!